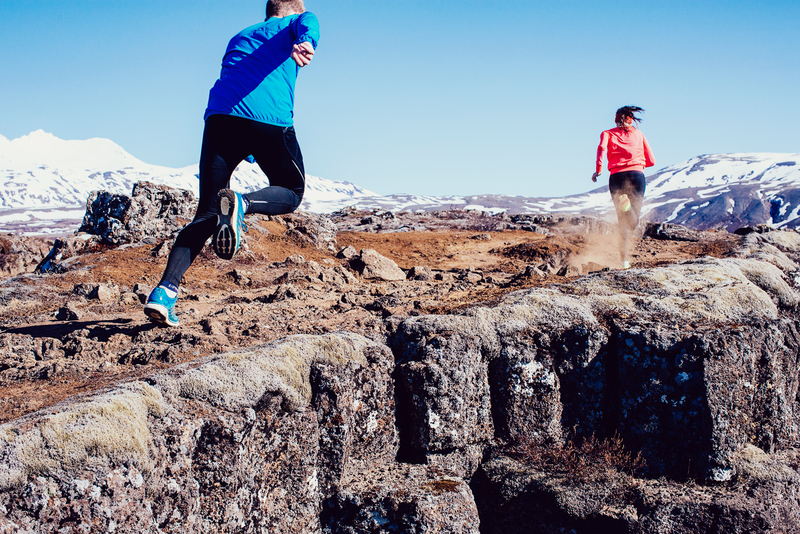 There are now over 150 running events in the Icelandic racing calendar. 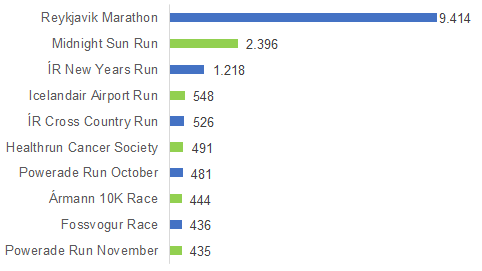 Using last years numbers we have prepared a list of the 10 most popular races, counting only timed distances. By far the biggest race of the year. Additionally, there are also fun run and kids run that are not included in the total number of participants. A unique race because of the late start in the bright Icelandic summer night. 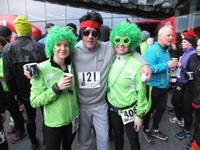 A celebration on the last day of the year, with lots of people running in costumes and a party atmosphere. It was first held in 1995 and has grown steadily ever since. The raffle prizes are very tempting and are perhaps the main attraction, along with the fact that the course is flat and fast. 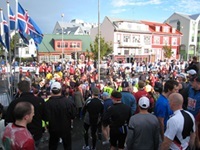 The oldest continuous sports event in Iceland, held on the first day of summer (which is a public holiday!). 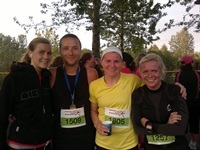 This years 100th edition had over 1.000 runners!